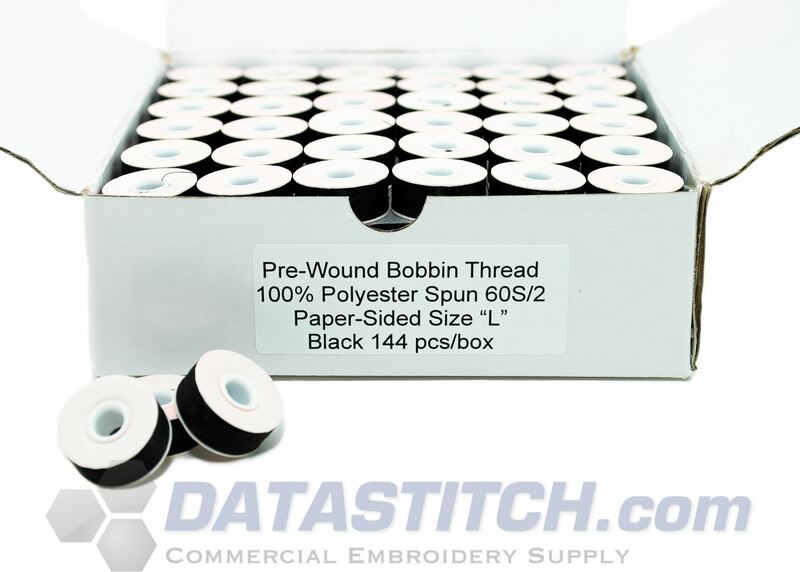 Black disposable bobbins. Paper sided. Size L for commercial embroidery machines. High quality and economical price!